There was no way any of them to know that this young man, Menachem Mendel, would later become a vibrant and dynamic Rebbe. 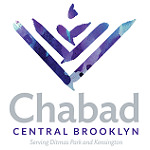 There was no way for them to know that this Rebbe would one day transform the Chabad movement from a fledgling Chassidic group into an internationally recognized network of positive and religious influence. There was no way for them to know that this young man would one day reshape the image of an entire generation, re-charter the very course of Jewish history, as a matter of fact. There was no way for them to know that this young man would leave such a lasting impression, such a deep impact that world leaders would turn to him for advice, encouragement and inspiration. To these invited guests this was to be a remarkable and memorable occasion, but by no means a historic one…just one more Rebbe to marry off one more daughter to one more scholar. Indeed, there was no way for them to know that this young man would one day become the only Rabbi ever to receive the Congressional Medal of Honor, America's highest civil award. How did such a simple and unpretentious personality take on a worldwide stature of recognition? How did a hitherto undiscovered scholar become the world's leading Torah authority? How did this man come to be regarded as a holy and pious individual with more then a million followers worldwide? In his strong desire to see higher moral standards for our society, the Rebbe embarked on a comprehensive educational crusade of sorts. This campaign was primarily geared towards developing and strengthening a cognitive awareness of G‑d, morality, and the Torah way of life. Sending his emissaries to many cities and countries around the world, the Rebbe was able to spread the message of Torah and good will to Jewish children and adults worldwide. His efforts on behalf of world Jewry and humanity was met with admiration and applause by many statesmen, presidents and prime ministers worldwide. Many prime ministers, politicians and policymakers from Israel routinely deliberated with the Rebbe concerning the forming of political, economic and military policies. General Ariel Sharon once proclaimed following an audience with the Rebbe that "this man sitting in Brooklyn, New York, is intimately familiar with the geographic, demographic and political forces that shape the character of the State of Israel". Amongst the famous personalities who visited with the Rebbe to receive his blessings and advice were Prime Ministers Yitzchak Rabin, Menachem Begin, Yitzchak Shamir, Shimon Peres and Benjamin Netenyahu. Members of the Knesset, ministers and army generals including General Ariel Sharon, President Zalman Shazar and Foreign Minister Abba Eban, also came to visit with the Rebbe. Although they did not always agree with his outlook, they always respected his ideas and invariably came back for more. They knew that the Rebbe's opinion was motivated by his desire to assure the safety and well being of all mankind. They knew that the Rebbe's convictions were based upon the values enunciated in the Torah. They knew that the Rebbe's beliefs were driven by his love of Jews worldwide. In the course of his efforts to revitalize extensive focus on education, the Rebbe declared the year 5738 (1977 - 1978) to be a year of education. He called upon Congress to establish an "Education Day" on the American calendar. The Rebbe felt that this would lend new meaning to long honored American traditions such as "Mother's Day" and "Father's Day". The United States House of Representatives responded to the Rebbe's call and declared the year 1977 as a National Year of Education. In April of the following year, Congress recognized the Rebbe's efforts and passed a joint resolution to proclaim the Rebbe's seventy-sixth birthday as "Education Day, U.S.A.". President Jimmy Carter signed the proclamation into law and Education Day U.S.A. has since become an annual tradition. The Rebbe encouraged educational systems that pay special attention to the building of personal character with emphasis on positive values. To this end, the Rebbe initiated his famous "Moment of Silence" campaign, calling upon private and public schools to institute a moment of silence at the beginning of each day. This would facilitate free expression of personal religious belief and would provide a necessary framework for inculcating faith in the Creator of the world. The Rebbe called upon the United States government to exert its influence in this area with newly developing countries. He would point out that the founding fathers saw fit to publish the words "In G‑d We Trust" onto the dollar bill, indicating their expectations of this nation's moral and spiritual strength. Therefore, this nation must be at the forefront of the effort to raise educational, moral and ethical standards worldwide. In his quest for worldwide acceptance of higher moral and ethical standards, the Rebbe did not limit himself to the Jewish population alone. He encouraged his followers to publicize the code of seven Noahide laws to all people globally. According to Jewish tradition, God dictated the Noahide laws to Noah immediately following the flood. These are the original laws that outlaw murder, theft and adultery. These laws call upon mankind to establish a judicial system that would conduct the affairs of society in a fair and judicious manner. These are the laws that call upon mankind to recognize the presence of a divine authority and to be grateful for our blessings in life. The Rebbe placed great emphasis on publicizing this code of law in an effort to bring peace, harmony and morality upon the face of the universe. He especially called upon newly developing countries to establish a code of conduct that would follow this path. In response to the Rebbe's campaign, President George Bush wrote to the Rebbe to thank him for his efforts in this regard. The President quoted the book of Psalms… "Thy word is a lamp to my feet and a light to my path". He went on to praise the Rebbe's work and quoted the legendary words of Daniel Webster, "If we work upon immortal minds and imbue them with principles, fear of G‑d and love of fellow men, we engrave on those tablets something that will brighten to all eternity". The Rebbe is a true believer in the innate goodness of man and in the positive potential of every human being. In a recent lecture at Georgetown University, Professor Adin Steinzalts described the Rebbe's philosophy in the following manner. "The Rebbe would often say: ‘Look within yourself and you will find that you are far better then you have ever imagined’". In his forty-four years of leadership the Rebbe never allowed himself the luxury of vacation, relaxation or a day off. When Rabbi Avrohom Shayevitz, Former Chief Rabbi of Moscow, thanked the Rebbe for all the emissaries that he had sent to the former Soviet Union, the Rebbe replied "We did very little for the Soviet Jews… we owe them much much more". Indeed, it is the Rebbe's vision, leadership and life's work that are the driving force behind the work of Chabad world wide. 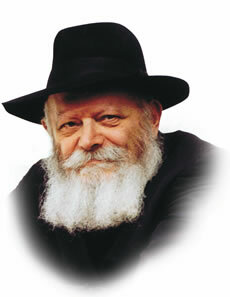 His teachings, his inspiration and his guidance are the source of success that Chabad has experienced over the years. The Rebbe's mesage today is: Moshiach is around the corner, let's welcome him with acts of Goodness and Kindness.